Our Aqua Lock Hanging Baskets save plants, save water and save effort for the user! The unique design of the Aqua Lock features a twist lock detachable water reservoir which is connected to the hanging basket via a capillary wick. This ensures self watering as the plants in the hanging basket draw water from the reservoir automatically by capillary action. Traditional hanging basket watering wastes as much as 80% of the water through spillage. By refilling the water reservoir, it is possible to target the water directly to the roots where it is needed most and wastage is minimised. It is also easy to check when you need to water your hanging baskets, simply unscrew the water reservoir and if empty, fill with water. Watering is made safer and less strenuous as there is no need to lift heavy watering cans. If users do decide to water conventionally from above, there are drainage holes in the base of the hanging basket which will direct at least some of the surplus water (which would normally be lost) to the water reservoir. Unlike other so called self watering hanging baskets (which are solid sided hanging tubs), the Aqua Lock can be planted through the side wall to achieve the classic flower cascade. 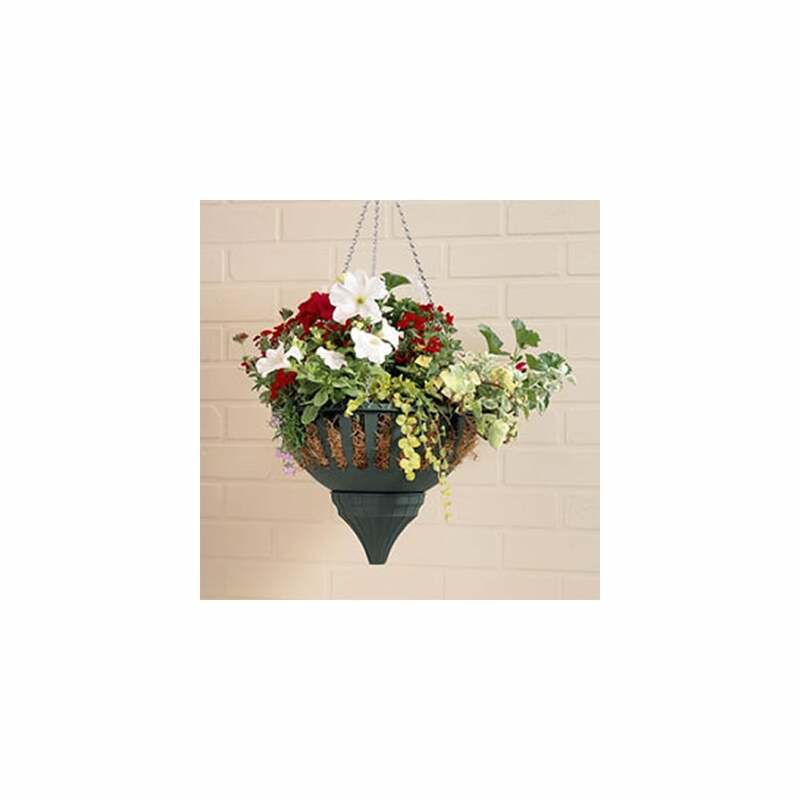 We offer two sizes of Aqua Lock Hanging Basket- 33cm (13 Inch) and 41cm (16 Inch). Both sizes are supplied with strong double jack chain. The mouldings are manufactured from recycled polypropylene.